Looking for some great date ideas for this holiday season? As corny as this time of year may be, the festive spirit is what makes it so much fun. And with all of the magic and beauty of the holidays sprinkled everywhere you go, there’s no shortage of ways to embrace the romantic and sultry atmosphere. To take full advantage, here are some fun, romantic, and festive date night ideas to consider. When it’s cold and snowy outside, binge-watching some old Christmas classics is the best! You can cozy up in your PJs, make some popcorn and hot chocolate, grab your date and dim the lights to enjoy a night full of holiday nostalgia. No matter where you live, there’s always a core of the downtown area that boasts some impressive light shows and entertainment. Bundle up, get some hot chocolate, and keep each other warm as you take in the festive displays and enjoy the entertainment of the holiday season. Why not feel like a kid again by making some gingerbread houses together? You can make an evening of it, decorating one together or individually and then munching on them as you dive into a holiday movie. If you have an outdoor fire pit, roasting up some S’Mores is the perfect way to stay warm. You get to enjoy the beauty of the winter night while enjoying something delicious. You can make it a double or triple date by inviting your friends over to join in on the fire and good times. 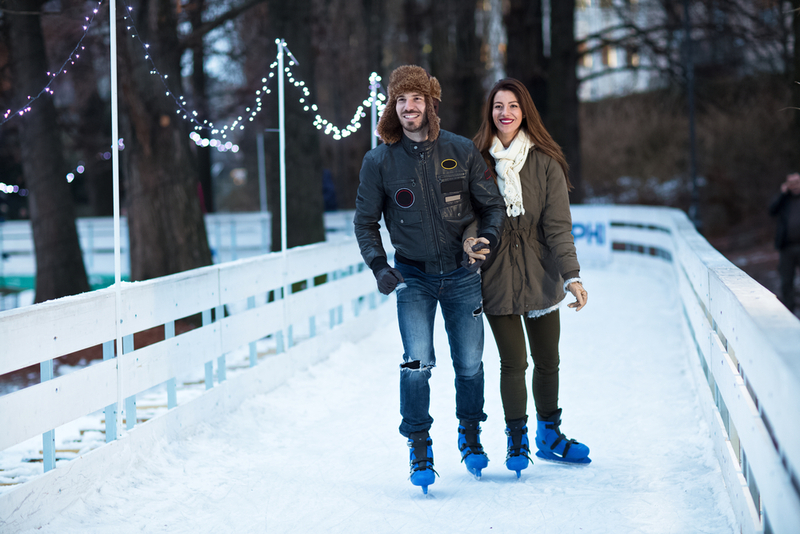 Skating is another great date idea for the holiday season. You can head to a local rink on a more secluded spot that you may know of, or you can opt for a lively atmosphere downtown with the bright lights and music to skate along to with your date. It’s a fun and romantic way to spend some quality time with your beau. Who doesn’t love tobogganing? If you’re looking for something that’s a little spontaneous, heading out for a late night ride down the hills gives you some time away from the screaming children and more time alone with your date. You can have fun flying down the hills together and then head to a late café for some hot chocolate to warm up. The holiday season offers so many different, simple ways for you to create fun and romantic moments with your date. So if you’ve been struggling to pinpoint what to do, consider these to get you inspired.